Tip Sealing Method. Holding the ampule body, insert the ampule stem into the sealing flame. Heat the stem 3-4 mm from the top of the ampule, until the melted glass fuses into a smooth dome. 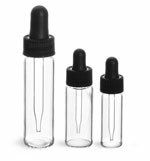 Ampules are all-glass containers that can be hermetically sealed to preserve sample purity and extend sample shelf life. These clear glass pre-scored ampules are ideal for standards packaging, environmental standards, diagnostic standards and cryogenic storage. 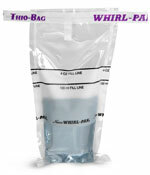 These ampules help reduce sample contamination due to their ultimate tamper-evident seal. 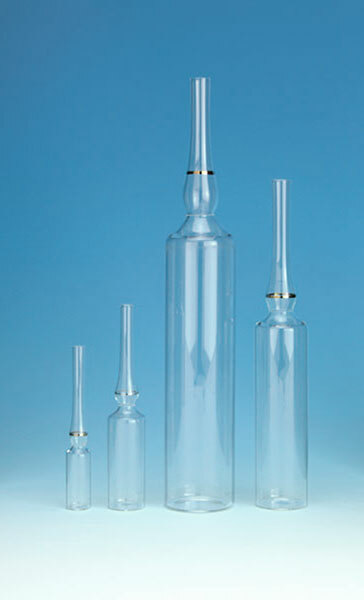 The clear glass pre-scored ampules are offered in sizes ranging from 1 to 50 ml capacity. 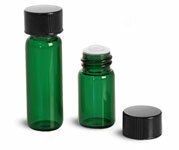 These ampules have stems that can be pull-sealed or tip-sealed to close the container. The Gold Band pre-scored feature eliminates filing.